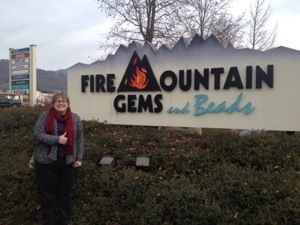 As an antidote for all the holiday hustle and bustle, my wife and I decided to take a quick year-end road trip. Of course, to me this means beer trip. 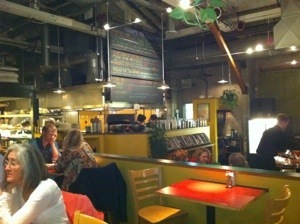 I set my sites on Humboldt County and Southern Oregon, since I haven’t tasted in those regions. It’s a six hour drive from our house to Eureka, so naturally my first stop was in Healdsburg for lunch at Bear Republic. I’ve been here several times and it never disappoints. 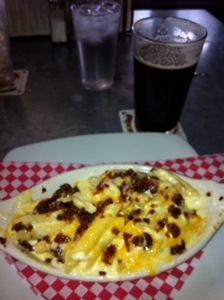 I love their Brewers Mac & Cheese; what a tasty lunch! 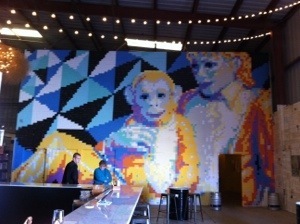 I paired it with something different than my usual IPA…I tried their winter warmer Old Saint Chango. Loved the hint of Mexican chocolate. 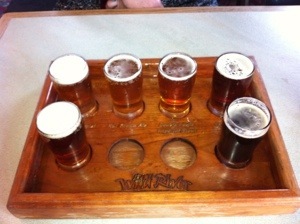 We hit our first Humboldt destination, Eel River Brewing, at 4:20 p.m. (seemed appropriate). 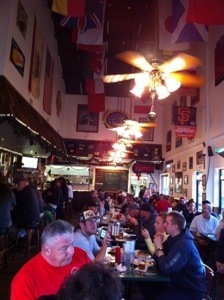 There was a lively crowd watching the final 49ers game of regular season. We chose to treat Humboldt County as a “progressive dinner,” so we ordered an appetizer (potato skins) and a sampler of five beers. 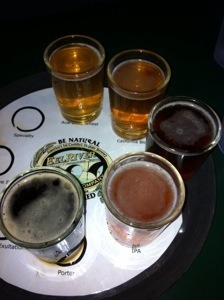 Everything Eel River brews is organic and all tasted fresh. 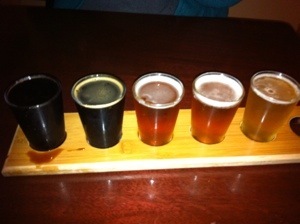 All five beers were good, but the Porter was the best of the bunch. 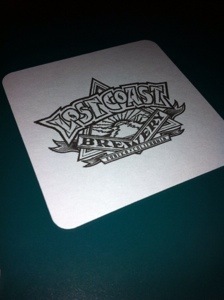 The next stop was Lost Coast Brewery in the heart of Eureka. This was to be the biggest disappointment of the day. 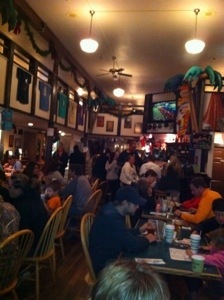 The restaurant was busy. It’s in an old building and I noticed a variety of odd scents (non-food) as we entered. 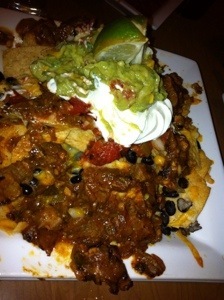 We ordered clam chowder and salad here. 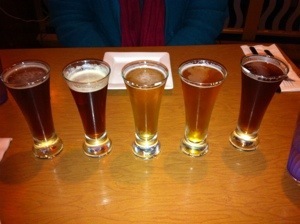 I decided against the sampler of 10 beers and instead ordered their Indica IPA. Oddly, I never got my beer! 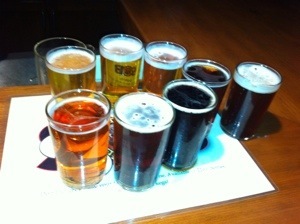 That was a first…going to a beer joint and the beer order disappears. 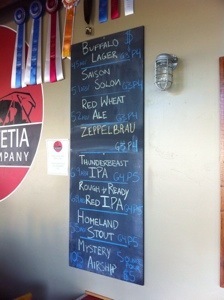 Probably a good thing, as the Lost Coast beers I’ve had in the past have never ranked very high on my list. We finished our first course and headed on. Next stop: Mad River Brewing in Blue Lake. 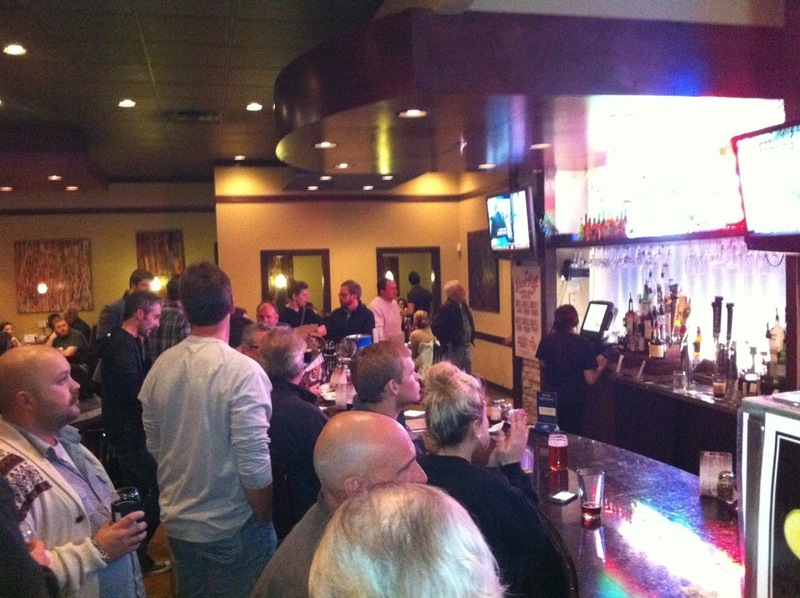 This was a nice comfortable pub, a place where a local could hang out and socialize. 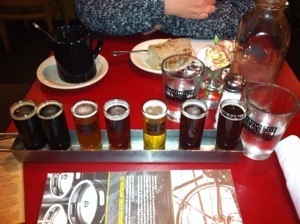 No food here, but I sampled five serviceable brews. 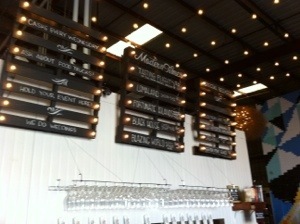 The Gimme S’more stout was a treat. 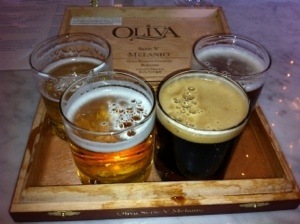 On to our dinner course at Six Rivers Brewery, the second female-owned brewery in California. Even though we arrived after 8 p.m. on a Sunday, we had a 45 minute wait. 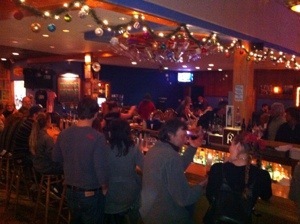 There was a youthful, vocal crowd and it was trivia night. The service wasn’t as bad as some of the Yelp reviews suggested (although the hostess was a little sour). I was disappointed by the IPAs. Neither were hoppy at all. I was, however, pleasantly surprised by the Yule Ale. It had a enjoyable blend of spices. 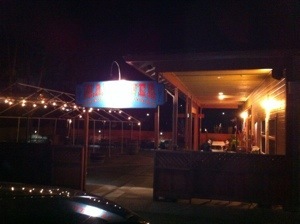 We booked a room at the historic Eureka Inn. 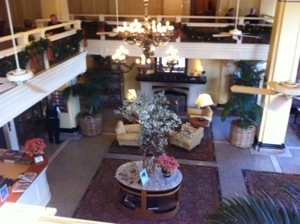 It’s a cool old hotel, reminiscent of the hotel in The Shining! Super big rooms but cold as Hell! Bring extra blankets if you stay here in winter. Although, what I found in the nightstand led me to believe they expected us to keep warm another way. At least it was still in the wrapper! Brown meats and onion. Drain. Mix diced tomatoes, beer, chili spices packet, cayenne packet, salt packet and tomato sauce together in big kettle. Simmer for 15 minutes. Add meat and onion mixture. Simmer for 30 minutes. Add red, white and black beans. Simmer for 30 minutes. Add brown sugar and Gentleman Jack. Simmer for 30 minutes. Add masa packet. Simmer for 15 minutes. 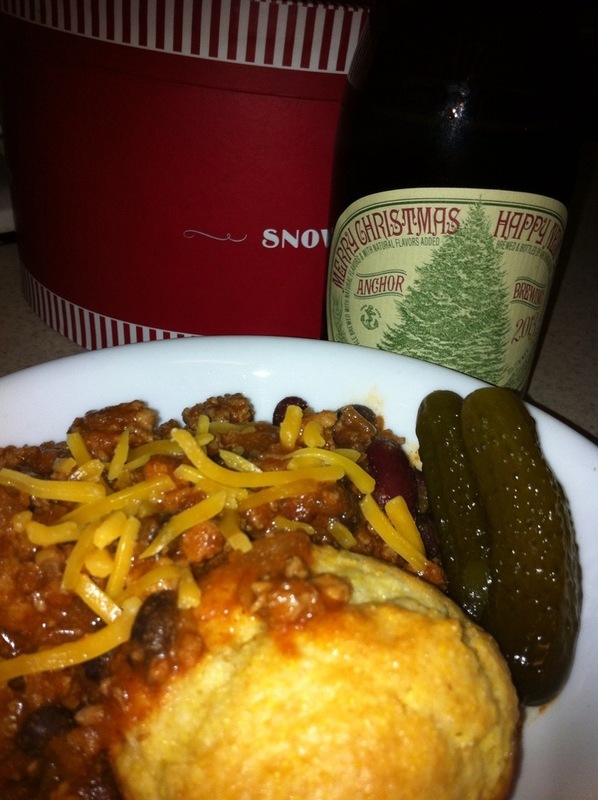 Serve with cornbread, sweet pickles, shredded cheddar cheese and your favorite California Craft Beer! 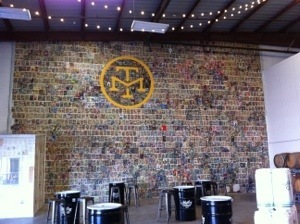 During my Thanksgiving visit to San Diego county I was able to visit Modern Times Beer. What a treat! 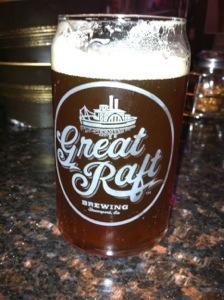 Even better…the beer was great. I tried the core four. 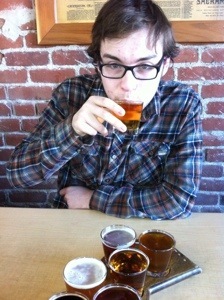 Lomaland, a saison, and Black House, an oatmeal stout, were great. 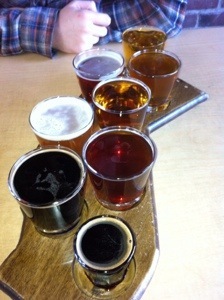 But I was knocked out by a couple hoppy surprises — Fortunate Islands, a wheat ale, and Blazing World, an amber. I’ve never had a wheat or an amber so hoppy! From left to right: Lomaland, Fortunate Islands, Black House and Blazing World. Post-It Note art — Michael Jackson and Bubbles. 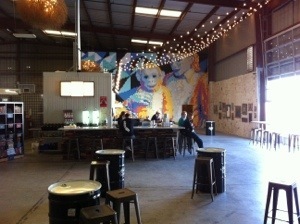 Modern Times Beer, located at 3725 Greenwood St., San Diego (across from the Sports Arena) is open daily Noon to 9 p.m.